Butterflies represent the beauty of nature. One such regional beauty is the Oregon silverspot butterfly, which requires quickly vanishing Northwest coastal grasslands to survive. In 1999, the U.S. Fish & Wildlife Service revised the silverspot recovery plan, starting a captive rearing and release program with the Oregon Zoo and Lewis and Clark College. Woodland Park Zoo joined the program just two years later. Those captive reared butterflies are released at Rock Creek and Cascade Head in Oregon, where wild violets, the butterfly’s essential food source, remain abundant. The Nature Conservancy collaboratively works with the U.S. Forest Service to restore native butterfly habitat through small, controlled forest fires, hoping to re-establish early blue violets and return the butterfly to its historic range. The eggs hatch and the young larvae are placed in specially designed containers, then put in a refrigerator for winter diapause. After dormancy, the butterfly larvae feed on western blue violet leaves. Soon after, they pupate and are large enough for return to the wild to eclose as adult butterflies in renewal of their reproductive cycles. The Oregon silverspot butterfly (Speyeria zerene hippolyta) was once found on coastal grasslands along the Pacific Ocean, from northern California to southern Washington. Forest succession, invasive weeds and grasses, and land development have greatly reduced butterfly habitat, and by 1980, scientists discovered that the butterfly had vanished from 11 localities. In 1980 the U.S. Fish and Wildlife Service added the Oregon silverspot to the list of threatened species, and in 1982, assembled a recovery team to conduct habitat restoration, in an effort to try and bring the butterfly back from the brink. Exotic invasive plants like Scotch broom crowding out native food sources. Land development of coastal property for homes, buildings, parks, off-road use and grazing by livestock. Catastrophic weather conditions wiping out an entire year’s new population. Roads through butterfly habitat causing highway mortality. Most factors (except weather) are controllable. In order to ensure the survival of the threatened silverspot, it will require a concentrated effort to preserve their habitat. Population augmentation is a complicated process. 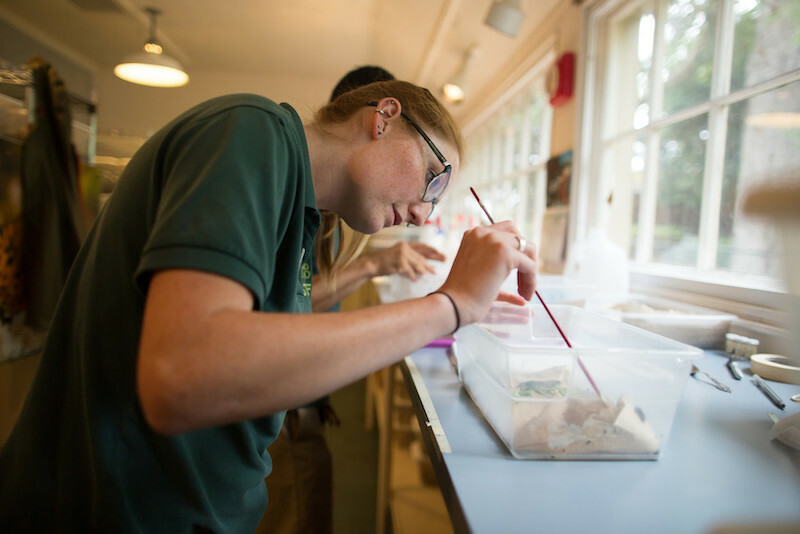 Woodland Park Zoo participates directly by raising silverspot larvae in zoo facilities for release into the wild. In September of 2011, the females that were brought into the lab laid an unprecedented number of eggs resulting in an extraordinary number of larvae. These larvae were overwintered and reared in 2012, with an extraordinary 1,233 surviving to pupation. Those pupae were transferred to the Oregon coast where they were released back into the wild.